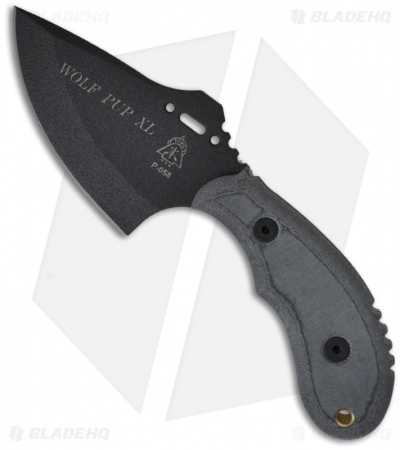 TOPS Knives presents the Wolf Pup XL fixed blade knife. It features Micarta handles with a contour fit for easy grip. The knife is 7 1/2" overall with a 3-5/8" 1095 high carbon steel blade and black traction coating. Full tang construction. 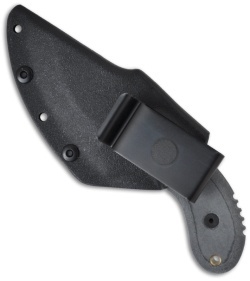 Includes lanyard hole on handle and a black Kydex belt clip sheath.